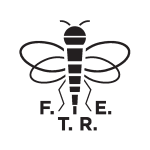 After what must be the worst month of results during the short FTRE history, Jon, Mike and Tom (from Vital Watford) chat about the recent poor form, dealing with expectations and chat about christmas lists and the Watford Book – Tales From The Vicarage Vol. 2. For November’s podcast, Jon, Jason and Mike are back in the pub. The plan was to be at the Herts Senior Cup clash, but it was postponed! This month it’s time to disect the starting XI. Recorded at the Norwich League Cup game and Wigan home games, this month’s see Jon, Jason and Mike talk about how the new boys are settling in and the news on the new East Stand. They catch up with the New York Hornets and the big interview is with the young goalkeeper Jonathan Bond. This month, Jon, Jason and Mike are at Capital One cup match, Watford v Bournemouth, look back on how the team have faired against Forest and Reading, discuss rivals and are lucky enough get to watch the second half of the game with no other than Marco ‘The Beard” Cassetti. The latest episode of From The Rookery End includes reflections on Watford’s excellent start to the season with Watford author Lionel Birnie, along with a look ahead to his upcoming book – Tales From The Vicarage Vol.2. From The Rookery End are back for another season of podcasts (it’s our fourth season) and this episode is basically our chance to get a lot of built up Watford chat out of our system. Listen to the From The Rookery End Play Off Semi-Final podcast. Don’t worry it all works out in the end.